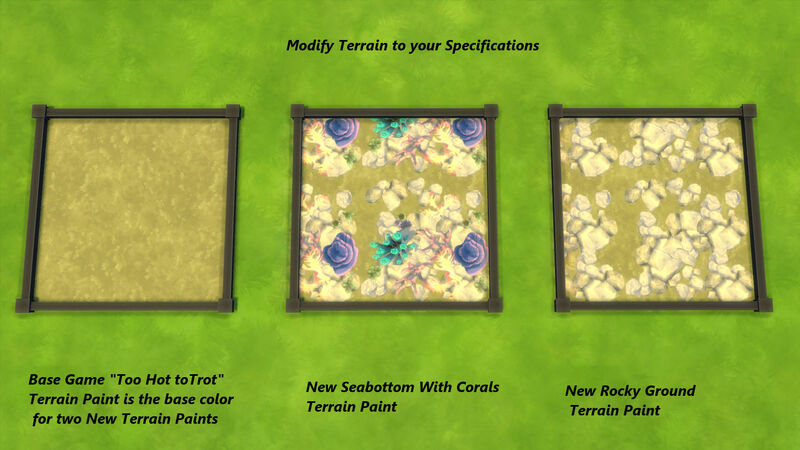 In the first of 4 installments dedicated to the world beneath the ocean I bring you Transparent-Sea Terrain paints. Transparent-Sea is a set of three terrain paints that let you look through painted water to the world hidden beneath the waves. 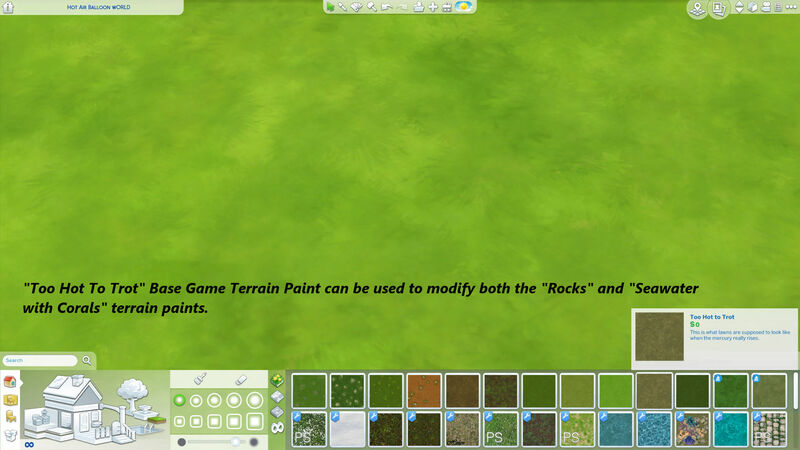 Rocky Ground Terrain Paint, lets you place boulders on land and beneath the water. 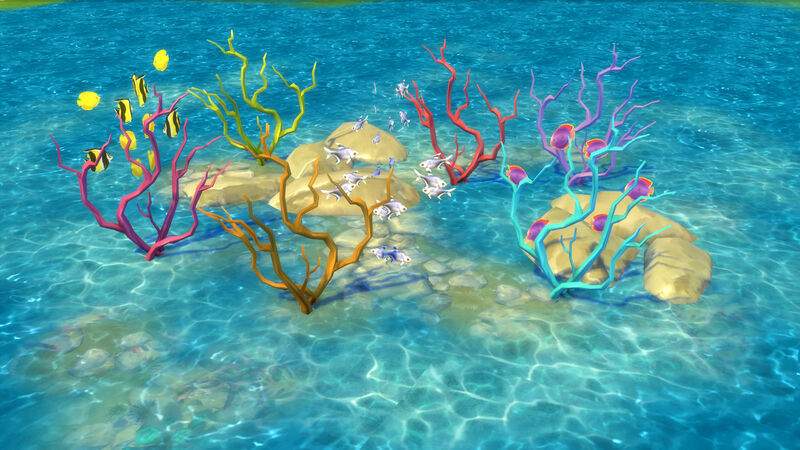 Sea-bottom with Corals Terrain Paint gives you a tantalizing glimpse at the life that dwells beneath the sea. 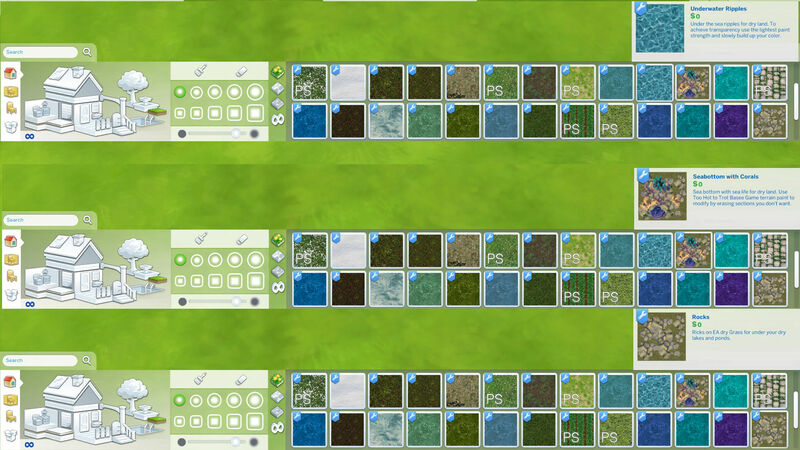 Both are made with a Base game ground that makes them completely customize-able so you can put features where you want them. 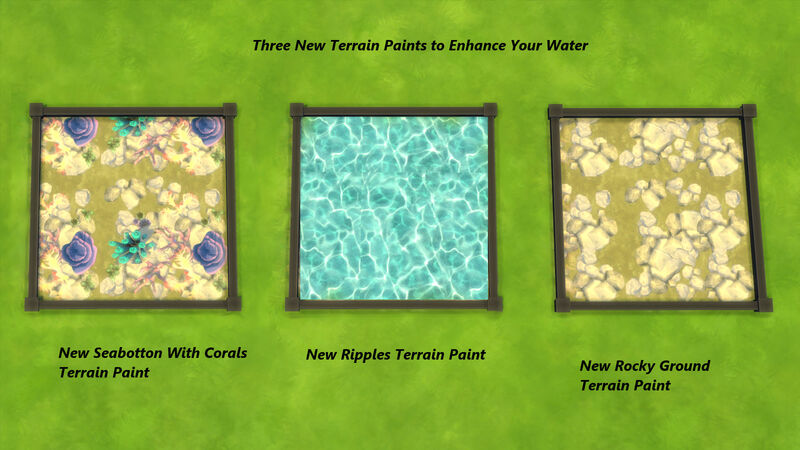 Lastly Ripples Terrain Paint, a terrain paint to be used sparingly to give water that extra sparkle, and simulate underwater reflected beams of light. 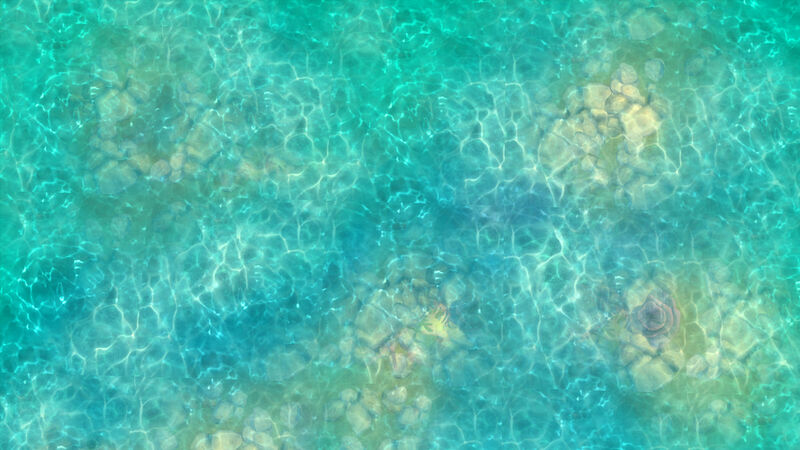 Transparent-Sea for more realistic water. 1) Place Transparent-sea Rocky Ground and Sea-bottom with corals first. 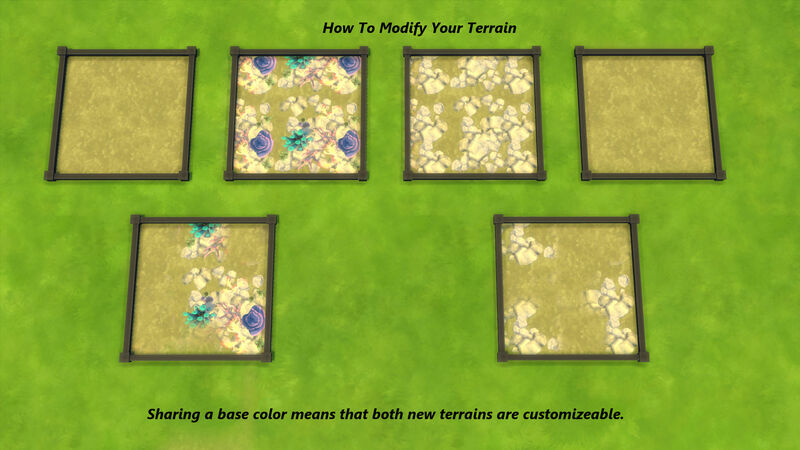 2) Edit the terrain with "Too Hot to Trot" Base Game Terrain Paint until you are satisfied with the layout of the underwater formations. 3) Add a thinly scattered layer of the terrain paint water or mix of different colored waters of your choice, adding areas between the features of heavier concentration. 4) For a finished effect, enhance with lightly applied sections of Ripples Terrain Paint (use sparingly like you would a highlight.) See photos above for a clearer picture of how to get the most out of the paints. Recolors and designs by me.